Fresh out of film school in the summer of 2008, I was hired by Tompkins Jewelers in Lethbridge to make a short promo video for their Korite ammolite mine tours. 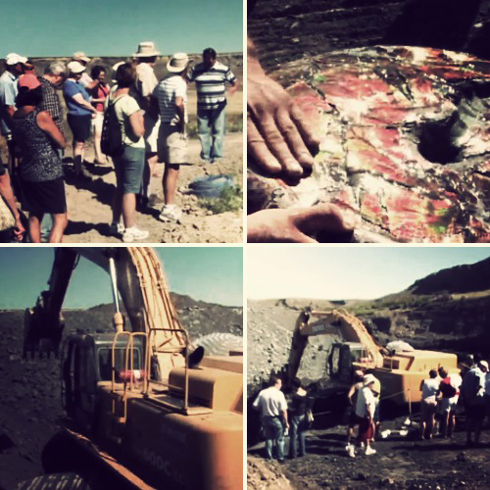 The project was straightforward, but it was a cool experience to see the mine up close and witness the excavation of ammonite for jewelry (where the fossil is refined into the gemstone ammolite). Watching this video now is a reminder of how much experience I've gained, how many amazing places I've captured, and how much my work has improved in just a few short years. Despite the few upgrades I'd make now, this was a fun video to shoot. See more about this tour and ammolite at Tompkins Jewellers.